Selling Your Home in Northern Colorado? It is All About Good News! We finally have things moving in the right direction for folks wanting to sell their home this year. In Fort Collins we are very low on inventory of homes below $325,000 and have sparse inventory in under $475,000. Even higher end properties are starting to move as well. Other areas in Northern Colorado have low inventories below $350,000 as well. Putting your house on the market now may mean that you will have multiple offers early in the listing period and you will probably have your choice of good pre-qualified buyers as well. 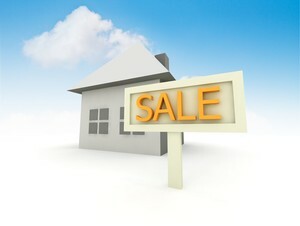 Check out our page on Things to Know about Selling Your Home - I think you will find it helpful. It is also a Good Time to Buy! Often when a property is being sold, we will help them buy their next home. For people wanting to purchase, it is a great time to buy too. Home appreciation probably will not rise very quickly, so even if there is competition the final price paid will be reasonable. Remember, the banks will only loan on the value placed on the house by an appraiser. Here in Colorado, the economy is doing well and interest rates are still historically low but they can't stay down forever. Mortgage rates continue to hang around 4% and even a small uptick can affect the top target price of a property that an individual can buy. If you are ready to sell or buy please give us a call at 970-412-1657 for extensive information on homes and condos in Fort Collins, Loveland, Berthoud, Wellington, Timnath, Windsor, Severance or nearby urban or rural Northern Colorado areas.